GROVEPORT — Authorities are investigating the death of a 3-year-old boy who reportedly shot himself at a home in central Ohio. Police in Franklin County’s Madison Township were called to a home around 9 a.m. Sunday for a boy with a gunshot wound to the head. He was taken to a Columbus children’s hospital where he was pronounced dead. Police say the boy’s father told officers he keeps a loaded gun in the kitchen. The father says the family was awakened by the sound of a gunshot and found the boy in the living room. Police haven’t identified the boy or his parents. MANSFIELD — A Texas man who authorities say killed his wife and put her body in the hatchback of her SUV has been indicted on an aggravated murder charge in central Ohio’s Richland County. Thirty-five-year-old Dequalan Harris also faces murder, endangering children and abuse of a corpse charges. He pleaded not guilty Aug. 31. Prosecutors say Mansfield police went to a home in July on a well-being check for Tamara Harris after being contacted by Cedar Hill, Texas, police. Cedar Hill officers said Harris had been reported missing and that her SUV’s onboard computer system indicated the vehicle was in Mansfield. Harris told Mansfield officers he had not seen his wife since picking up a child at her Texas home several days earlier. Harris’ attorney couldn’t be reached for comment Sunday. COLUMBUS — Forty law enforcement agencies around Ohio are getting a combined $3 million in state grants for teams that aim to address the state’s opioid epidemic by helping people who overdose get treatment and other support. 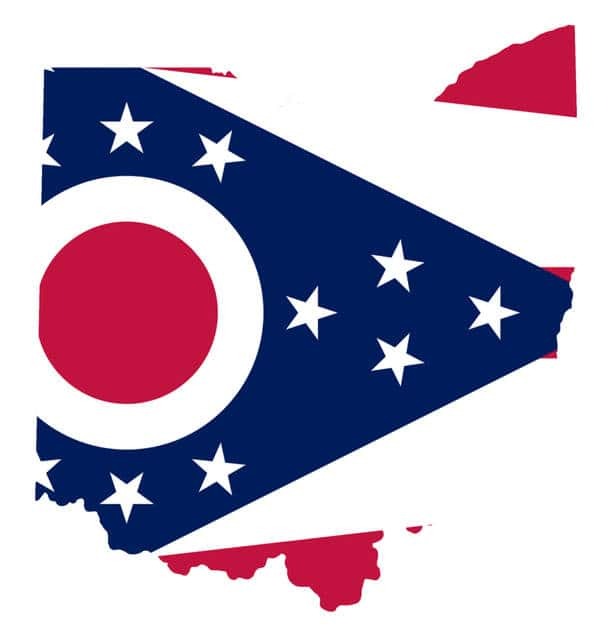 The Ohio Attorney General’s Office says the funding allotted in the state budget will help expand or replicate two types of partnerships, known as Drug Abuse Response Teams and Quick Response Teams. They involve law enforcement agencies working with drug treatment providers and other partners to help overdose survivors through a recovery process. The grant recipients include agencies in Akron, Canton, Cincinnati, Columbus, Dayton and Youngstown, as well as smaller cities such as Chillicothe, East Liverpool, Findlay, Mansfield, Sprinfield and Troy. The amounts awarded range from about $45,000 to $125,000. GROTON, Mass. — An Oberlin College graduate is a suspect in the slayings of four people at a Massachusetts home. The Middlesex district attorney’s office says 22-year-old Orion Krause, of Rockport, Maine, is to be arraigned Monday on murder charges in the four deaths Friday in Groton. Meanwhile, Oberlin College & Conservatory, the liberal arts college in Ohio with a prestigious music program, identified Krause as a 2017 graduate of the school. It’s unclear whether Kraus has an attorney. Relatives of Krause did not immediately respond to a request for comment. NILES — An Ohio couple has stepped forward to help families shamed online for their unkempt yards. The Warren Tribune Chronicle reports Adam Jenyk and his wife, Chaelsie Adkins, saw an opportunity to help their neighbors in Niles after viewing hurtful posts on community pages. Volunteers have joined the couple’s small-town mission. Adkins cautions cyber bullies who are unaware of the personal lives of people they try to shame. She says she and her husband have helped a disabled veteran, a stroke victim and a family caring for a special needs child. Jenyk and Adkins’ work has garnered the attention and support of Niles Mayor Tom Scarnecchia. Jenyk says doing something to help makes more sense than complaining.